“Female Nature Photography – Photo of the Month”. The winning picture will be published in the next issue of Wild Planet Photo Magazine and shared on our social networks. 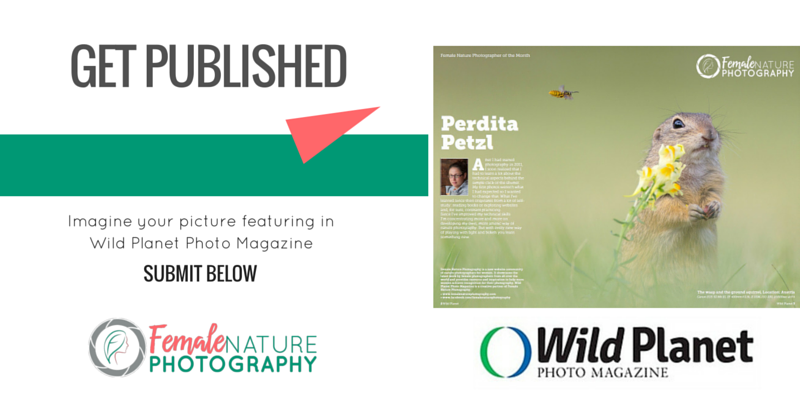 The magazine submission is ONLY open to female nature photographers who have sent their portfolio content to feature on Female Nature Photography community website. Entrants are also invited to follow us on Facebook. in order to prove they are photographers. 1. 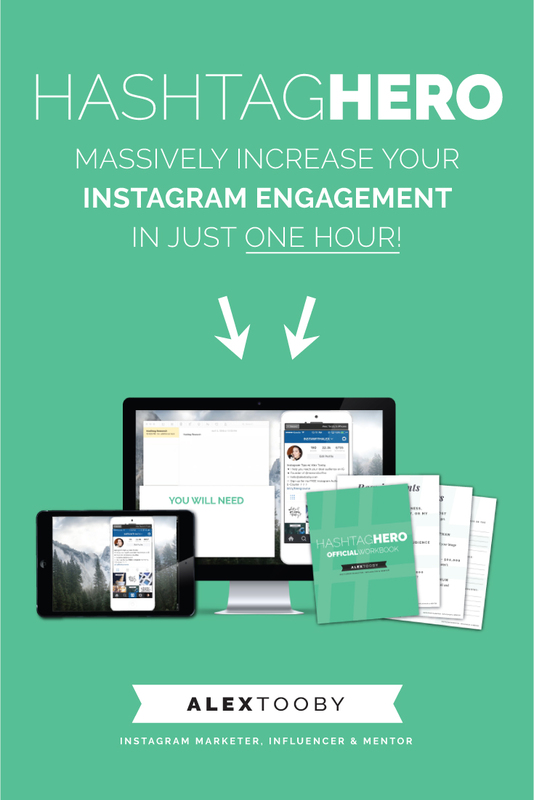 You can submit up to a maximum of 3 pictures per month. 4. After choosing your picture to submit, click on "send" and the picture(s) will start loading. Allow time for the upload until you receive a "Thank you. Sent" message. 5. We accept pictures corresponding to the following categories: wildlife, macro/closeup, plants. 6. Please make sure that you mention in the caption, the name of the animal or plant, the location it was photographed and all metadata. Here is an example: Mauritius Day Gecko, Gorges Nature Park, Mauritius. Make sure the picture is 3,000 pixels on the long side and contains no visible copyright watermark. We ask for such large size as it might be published in the magazine. Remember, you keep all copyright. 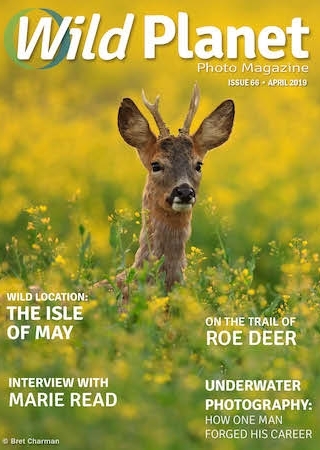 I am happy to participate in this monthly submission and get the chance to feature in Wild Planet Photo Magazine. I agree that all the information mentioned above is correct and that the images submitted are my own work.